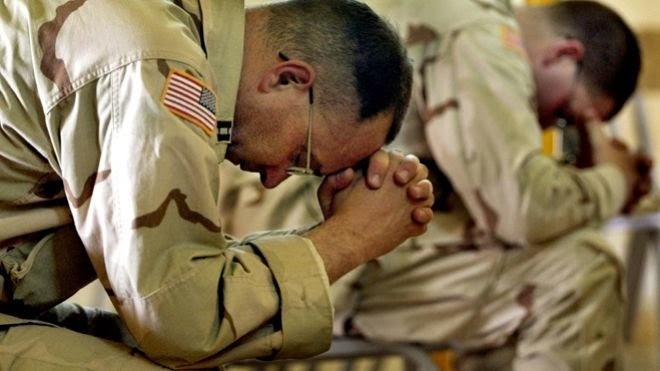 Two Baptist chaplains said they were forced out of a Veterans Affairs chaplain training program after they refused orders to stop quoting the Bible and to stop praying in the name of Jesus. When the men objected to those demands, they were subjected to ridicule and harassment that led to one of the chaplains leaving the program and the other being ejected, according to a federal lawsuit filed Friday. The Conservative Baptist Association of America is suing Secretary of Veterans Affairs Eric Shinseki; the group’s suit alleges two of its chaplains were openly ridiculed by the leader of the San Diego-based VA-DOD Clinical Pastoral Education Center program. “Not only was the treatment these men received inappropriate, it was also a violation of federal law and the religious freedom guarantees of the First Amendment,” said John Wells, an attorney representing the Colorado-based denomination. “No American choosing to serve in the armed forces should be openly ridiculed for his Christian faith,” he said, calling it one of the most blatant cases of religious discrimination he has ever seen. Lt. Commander Dan Klender, a Navy chaplain, and Maj. Steven Firtko, a retired Army chaplain, had enrolled in the VA’s Clinical Pastoral Education Center program in San Diego last year. The one-year training program is required for anyone wanting to work as a chaplain in a VA hospital. VA chaplains differ from other military chaplains in that they are limited to working in VA hospitals.